Now Step Up offers Integrated Coaching Services, Abu Dhabi, UAE. Plugins: Bloom Opt-in plugin from Elegant themes was used to integrate with MailChimp. All the sections were built with Divi modules Contact Form, Fullwidth Slider, Blurb, Blog, Social Media Integration and Mailchimp Integration. 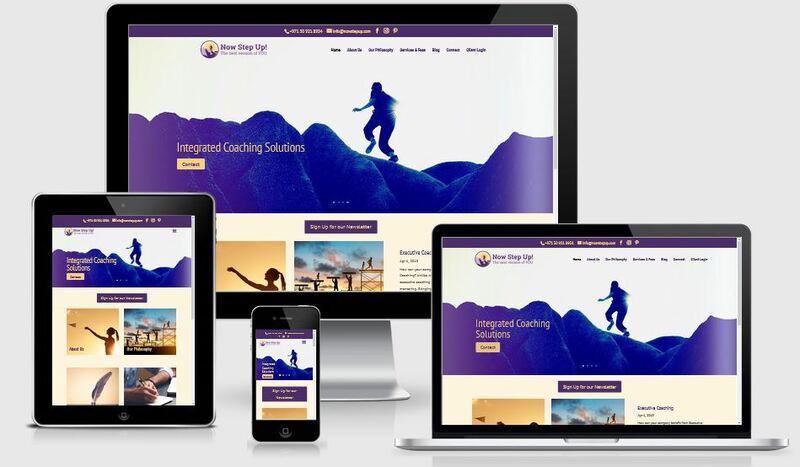 This is a responsive website for Now Step Up, Integrated Coaching Solutions. Now Step is a website for a Life Coach and Divi Theme was used. The goals were to have a Multi page website with primary and Secondary menu bars, Contact form and MailChimp Pop-Up. Bloom Plugin was used for tying DIVI to MailChimp. DIVI theme was used to build the website. The client is a RSCI certified Coach, certified NLP Practitioner, Hypnotist and Time Paradigm Practitioner.